Zotac is perhaps best known for its Zbox line of miniature PCs. While attractive to some, their small form-factor prevents the use of full-sized graphics cards and thus, hampers gaming performance. 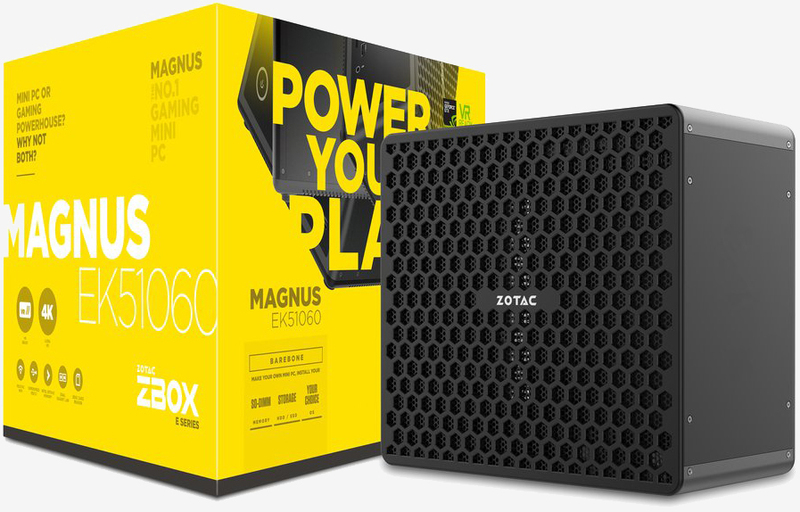 That won’t be a concern with Zotac’s latest Magnus family of compact PCs. Measuring 203mm x 128mm x 225mm (7.99 inches x 5.04 inches x 8.66 inches), the Magnus series is offered with your choice of AMD Ryzen 5 1400 CPU (ER Series) or Intel 7th gen Core i5-7300HQ processor (EK Series), either an Nvidia GTX 1060 (3GB) GPU or GTX 1070 (8GB) graphics card and support for up to 32GB of DDR4 RAM. 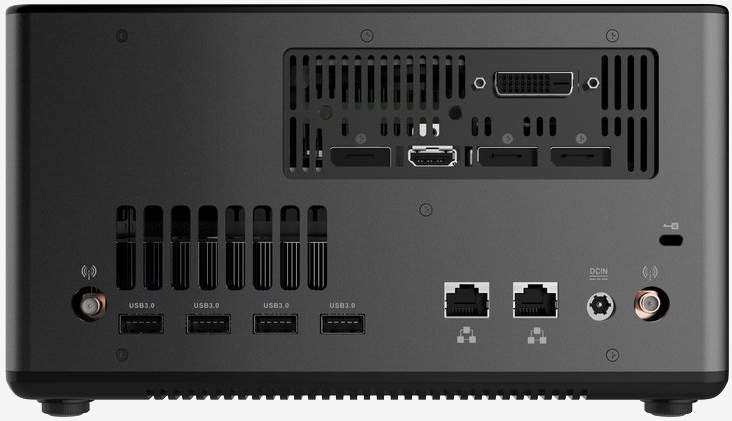 Other noteworthy specs include two USB 3.1 Gen2 (1 Type-C) ports, one 2.5-inch drive bay, support for one M.2 PCIe x4 drive, 802.11 b/g/n/ac Wi-Fi, Bluetooth 4.2, a 3-in-1 card reader, dual Gigabit LAN and a Kensington lock slot. Power comes from a 230W / 330W AC power adapter. 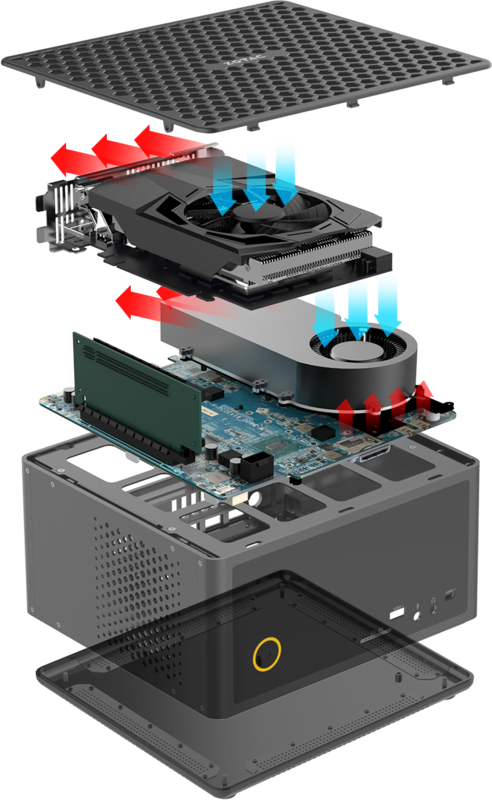 Dual radial fans keep the system from overheating. Intel-powered machines also have an Intel Optane memory slot, we're told. Pricing and availability hasn’t yet been revealed although given the cost of existing Magnus systems, you can probably expect to drop a grand at minimum. Am I the only one who likes small capable machines? Reehahs and liammac002 like this. I don't build them quite THIS this small, but I do like my SFF and uSFF cases/builds, and I can really dig this thing. Intriguing! Now, can that AMD based machine handle a 1700, and can it undervolt/OC with this machines BIOS? Because if so, that could very well be my next machine. Wold fit perfectly next to the TV. I hope they don't force Optane in their configurations, yuck. A slot much better used with a large SSD.